These late season organic heirloom tomatoes were grown in Brooklyn. On the left and right are examples of the Purple Calabash (Solanum lycopersicum). An open pollinated variety which is believed to have originated in Mexico and has a rich, almost wine-like flavor. 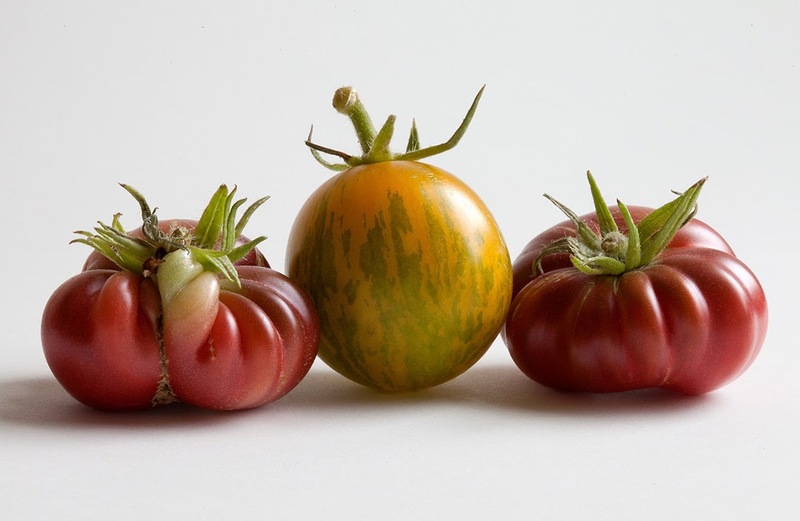 In the middle is the Green Zebra tomato. It was developed in the 1980s by tomato breeder Tom Wagner in Everett, Washington and is actually the result of combining four different heirloom varieties.